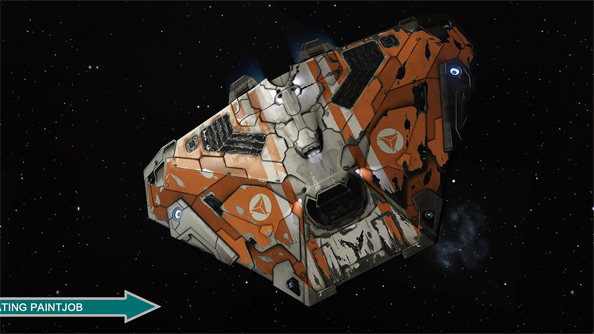 The latest teaser image from the folks at Frontier hints at ship weathering as an upcoming feature in Elite: Dangerous. 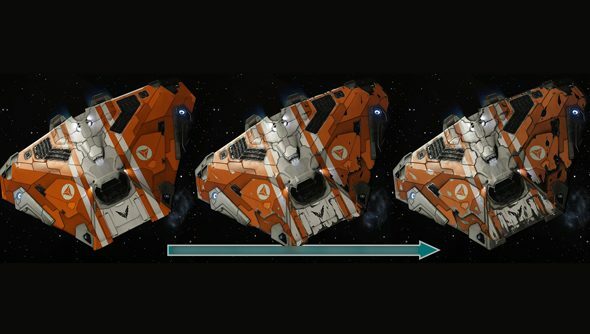 The concept image demonstrates in three stages how your ship will go from its original pristine condition to “all scratched up” before finally reaching “hobo space-wagon”. This is important space business. How will your spaceship become all battered and broken? Probably by scraping along the sides of docking ports, flying around irradiated stars and getting into scraps with pirates. The Elite: Dangerous newsletter, which gives playful insights into planned features on a weekly basis, doesn’t go into much detail. They never do. Instead here’s a breakdown of how your ship will, well, break down. Three factors are mentioned in the grubbification process. Dirt strength, scratch threshold and paintjob saturation. 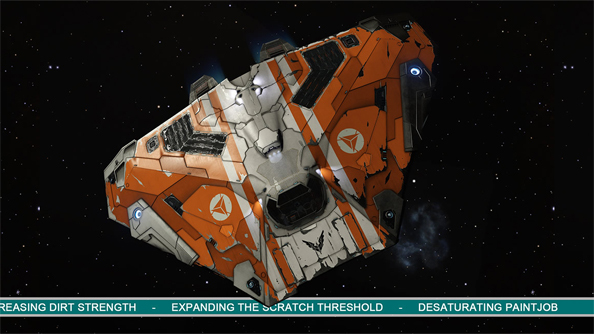 You can purchase custom paintjobs in Elite: Dangerous. Presumably you can pay to give your ship a fresh coat. Hopefully the interior cockpit view changes to match the outside of your vehicle too. Maybe a few fag ends on the dashboard and an old coke can rolling around underneath your seat. 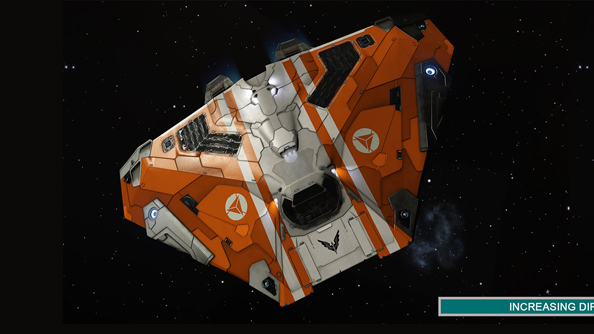 Here’s our Elite: Dangerous beta review.